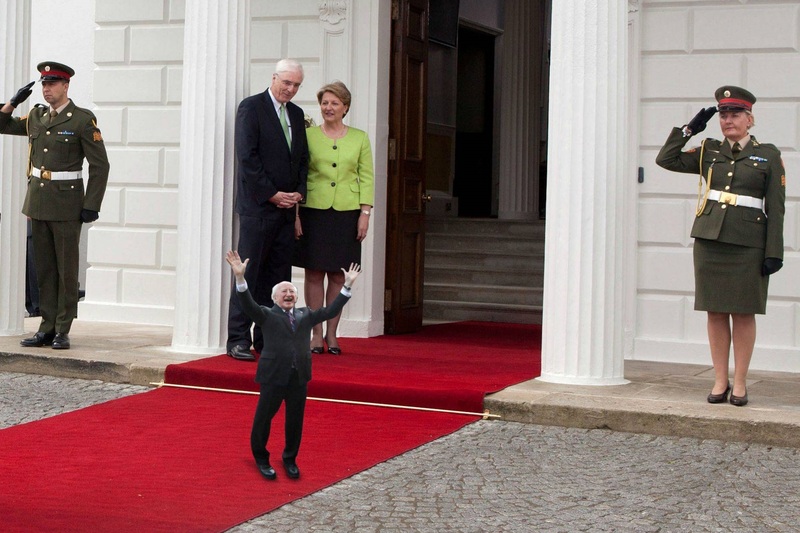 The President of Ireland Michael D. Higgins is shrinking and it seems nothing can be done to stop it. The rate of his decline has shocked and baffled experts and nobody seems quite sure what’s going on. Doctor Susie Sherlock is the President’s personal physician and she broke the news during a press conference outside Áras an Uachtaráin this morning. Mister Higgins is now the same height as an average 3-year-old boy. 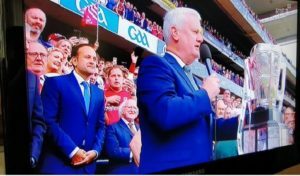 At a dinner in Buckingham Palace last week a waiter mistakenly sat the President of Ireland at the kid’s table with the royal grandchildren and served him nuggets and chips with a plastic cup of Ribena. When the mistake was noticed the Queen had the waiter taken outside and shot but by then the damage had been done. Eventually the President himself came outside and spoke to the media for a brief moment. As always he seemed upbeat and in good spirits.